A comprehensive open source data mining and analysis tool which is excellent for forecasts and predictive analysis. The key capabilities of rapid minor – an open source BI tool – are knowledge discovery, reporting features such as data access, report layout and scripting. Get Jaspersoft installation, configuration and support services from our trusted team of experts. 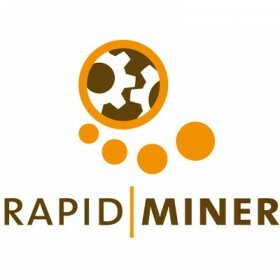 RapidMiner claims to be the world leading open source system for data mining. Data integration, analytical ETL, Data Analysis, and Reporting is available with this one single suite. RapidMiner gives powerful but intuitive graphical user interface for the design of analysis processes. This open source data mining software can be operated on every major platform and OS. With multi layered data view concept, it ensures efficient data handling. Access to data sources like Excel, Access, Oracle, IBM DB2, Microsoft SQL, sysbase, Ingres, MySQL, Postgres, dBase, test files and many more formats is possible.